Before you can start thinking about closing a homeowner’s business, you first need to create awareness around your offering, generate interest, and pinpoint those interested people as leads. But identifying high-quality leads is not a walk in the park. HOVER’s technology can help. HOVER transforms a few smartphone photos of any property into an accurate, interactive 3D model. When you integrate this 3D model into your arsenal of sales and marketing tools, you have an instant advantage over your competitors. By showcasing the 3D model in your display at home shows, on your print ads, in your brochures, on your website, in social media feeds, and in your other marketing materials, you will be able to easily attract homeowners that your sales team can then turn into customers. Use the 3D model at home shows to attract homeowners who are identifying with which contractor they want to bring their next remodeling project to life. By showcasing the fully interactive 3D model of houses that your team has worked on, you can easily display your products and services in a powerful way. Homeowners who attend home shows are actively thinking about their next project, so they will eagerly anticipate using the 3D model to experiment with potential exterior looks for their house. On top of that, they will realize that you’re a contractor who turns to today’s cutting-edge technology to provide best-in-class service that goes far beyond simply providing a quote for the project. This modern approach to lead generation speaks volumes without the need for your sales team to use any high-pressure sales tactics. Make sure to incorporate the 3D model in your print and online ads as well as your other marketing materials. By highlighting the fact that your potential customers will see exactly what their finished project will look like before the contract is signed, you can pique the interest of even the most skeptical buyer. Homeowners enjoy the reassurance of being able to visualize and manipulate their home’s layout before it’s time to make a final decision. This in combination with the possibility of doing so in their own homes, without the need to come into a showroom or take time off work, will put your contracting business ahead of the competition. On your website, showcasing video clips of HOVER’s interactive 3D models in motion, with the various changes and choices that can be visualized with a few keystrokes, is another persuasive way to generate more leads. The ability to show a customer a 3D model of what their home could look like is a great way to keep a customer excited about the project, while also helping build their trust from the very beginning. Which homeowner wouldn’t enjoy being able to show friends and family what their home improvement project will look like, long before construction is underway? They will feel completely comfortable in their material choices. Offering a 3D model of their house during the estimating process is a priceless perk that will help your business stand out against the competition. Running customer testimonials about how useful HOVER’s 3D models throughout the home improvement process is another powerful way of showcasing the value of the 3D modeling feature. Prospects value the opinions expressed in reviews and testimonials. By placing other clients’ words front and center in your marketing efforts, you let your reputation speak for itself. Further, testimonials make fantastic social media content and can be used to prompt interaction with others online, creating buzz about your company and its services. Using the full capacity of HOVER’s 3D model from the first point of contact all the way through contract closeout will surely streamline and simplify any job that your team needs to work on, leading to greater productivity and more satisfied clients. 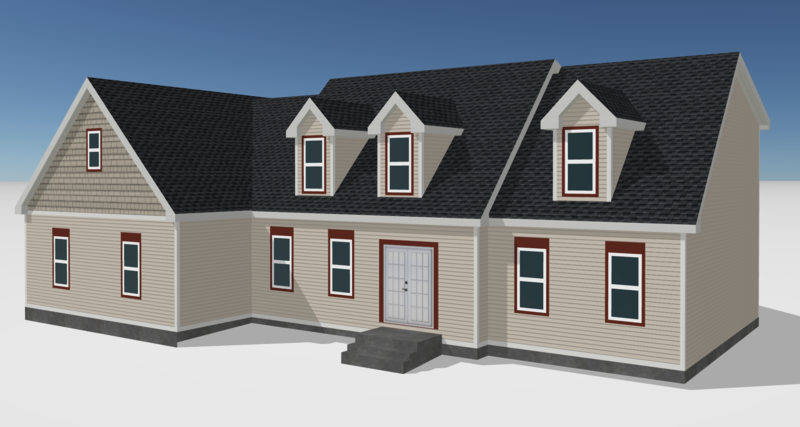 An added benefit of HOVER’s 3D models is that the homeowner is excited that they are able to see their project. This often leads to the customer sharing the project with their friends, families, and neighbors – which can ultimately help bring your business new leads (nothing more powerful than word of mouth). HOVER is not just a selling platform. Its 3D models are a marketing weapon that, when used correctly, will allow you to guide leads away from the competition straight to your business.